Helly Cherry Vesti: IRIE FM live @ The Tube ! IRIE FM live @ The Tube ! 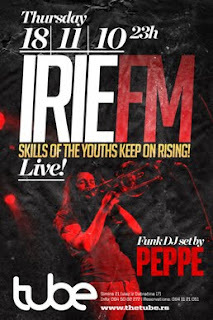 IRIE FM live @ The Tube,Simina 21,ulaz iz Dobracine 17.